The world thus exists to the soul to satisfy the desire of beauty. This element I call an ultimate end. No reason can be asked or given why the soul seeks beauty. Beauty, in its largest and profoundest sense, is one expression for the universe. If beauty is the expression for the universe, then it lies in the eye of science. Our scientific endeavors toward understanding the beauty of nature might even tell us something about ourselves. If you asked me “What is the most beautiful thing in science?” I would probably respond with Maxwell’s equations. Named after the 19th-century Scottish scientist James Clerk Maxwell, these four equations are one of the most elegant ways to describe the fundamentals of electricity and magnetism. The first equation describes the electric field in relation to charge. Electric field tells us how an electric charge will affect other charges. The second equation explains magnetic flux, or how magnetic substances affect one another. The third equation tells us the electric field associated with this magnetism, and the fourth is about how the electric field changes due to the magnetic field. We can use these equations to form complex relationships in order to describe physical phenomena like the Earth’s magnetic field and the charges of elements. We can use them in a wide spectrum of physics and engineering feats from circuitboards to lasers. We can describe theoretical situations of point charges in empty vacuums through models and simulations. And, because of the concise way in which we can write these four equations, they’re an object of beauty by scientists. The fact that so much information can be conveyed in four equations is a testament to the elegance of science. “Elegance” describes how we can explain complicated ideas in simple ways. Often cherished by mathematicians and physicists (but, on occasion, by biologists and chemists), elegant phenomena may be “beautiful” in that we can express more information, theories, or anything else using a small number of words, symbols, or lines of code. In this way, scientists look for elegance as a form of beauty, as an end goal that has aesthetic and practical value. 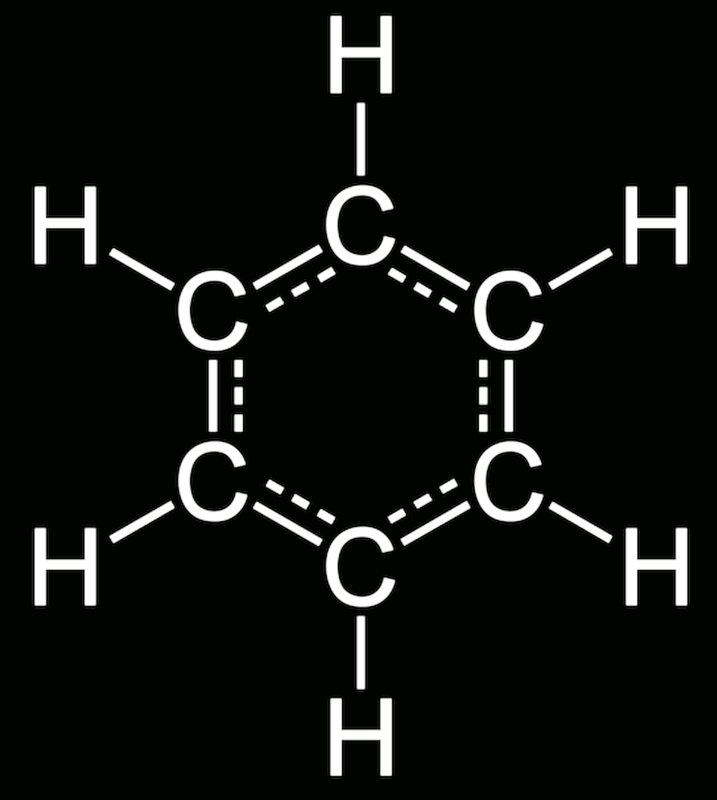 The chemical compound benzene is very elegant, too. When the 19th century organic chemist August Kekulé had a dream about about a snake eating its own tail (much like the Greek serpent Ouroboros), it occurred to him that the structure of benzene must, similarly, have been a ring of carbon atoms in a hexagonal structure. The simplest of aromatic structures with one hydrogen atom for each carbon atom, benzene lays the foundation for applications in gasoline, plastics, synthetic rubber and industrial solvents. The symmetry and utility of this structure is an evidence to the imagination that chemistry allows. Though elegance is not as frequently used as an end goal in chemistry as much as it is in physics and mathematics, arranging atoms of different elements into bigger and bigger structures carries the idealistic, romantic notion that we can make sense of the complicated from the simple. In this sense, there is elegance through such intuitive explanations of the matter that makes the world. heritage. 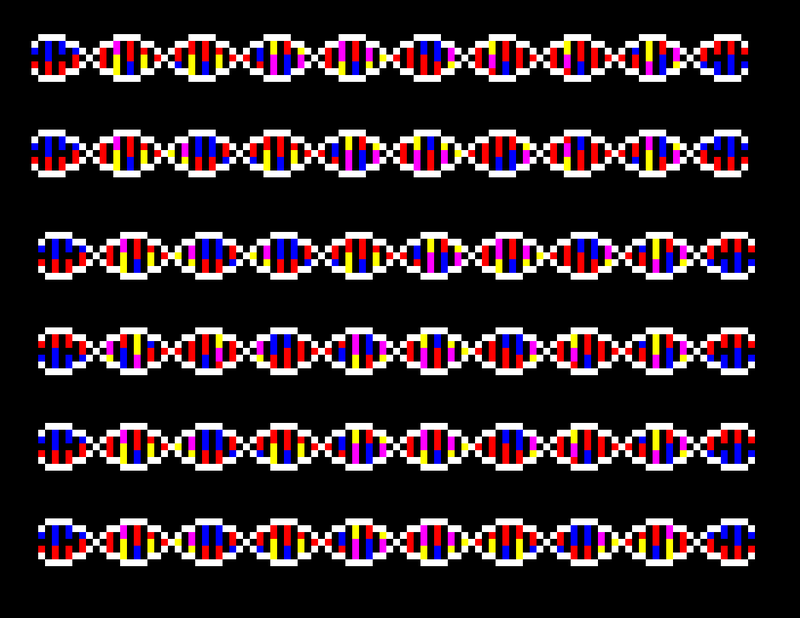 There is simplicity in that the structure of DNA can give rise to phenomena with only four different nucleotide bases at the fundamental level. Why do we love brevity? Perhaps it’s practical and easy to measure the most basic principles of a theory in a convenient way. We could say we like Maxwell’s equations and the structure of benzene because they’re easy to draw and write in our lab notebooks. The French aviator Antoine de Saint-Exupéry wrote that, “A designer knows he has achieved perfection not when there is nothing left to add, but when there is nothing left to take away.” Or maybe the value of brevity is less about the object, but, more extrinsically, about the ways which we can extend simple principles into different unique, complicated situations. We could say we delight at the beauty of how the four bases of DNA give rise to all the biological phenomena we observe. Whatever relation these two forms of brevity have with one another, we create a definition of conciseness that guides, not only aesthetic wonder, but also the rational justification of science itself. For example, Occam’s Razor is a well-known justification for using arguments and methods of reasoning that rely on fewer assumptions. From a purely philosophical point-of-view, it might not be so clear why one would favor theories that require less lines of code or equations that contain fewer variables. But, from statistical arguments of probability and randomness, it’s much more reliable for science to embrace theories and knowledge that minimize chances to be wrong. Fewer assumptions means smaller chances and lesser room for error, and, therefore, more precision and information. The short, lines of code in Python show simplicity and elegance. Did the rise in scientific innovation over the 20th century coincide with the search for scientific elegance? And, if so, perhaps the modernist movements in art paralleled the ignition of our desire to discover elegance in science. The elegance in science comes form our ability to communicate information in the most succinct, concise way possible. Similarly, modernist imagery is known for being pure, rhythmic like the natural geometry of “microscope slides: straight-on views of textured systems (rather than objects in landscapes or architectural spaces)”. Modernist art also embraces the “form follows function.” Elegance as a modernist ideology that we desire to consume and interpret as much information as possible at any given moment. By emphasizing scientific and mathematical elegance as a maximization of utility, one would be reluctant to attribute the same scientific wonder and beauty to something subjective such as a sympathy-based philosophy. Instead, it would be more ideal to attribute the wonder and beauty we observe as results of how well art and science achieve its purpose, namely, through the maximization of this communication utility. This functionality of elegance in science may be an element of modernism. “Wainwright Building” by Louis Sullivan has the “form follows function” principle in its design. Moreover, if beauty is in the eye of the beholder, are we adding a subjective human experience to science, a method of inquiry that must remain free from personal bias? Are we just deluding ourselves and inhibiting scientific progress by seeking knowledge for our own sense of beauty? Adriaen van Ostade’s “An Alchemist”: The 17th century alchemist’s search in vain for the philosopher’s stone, a mythical substance that promised the ability to live forever or turn things into gold may have been a quest for elegance in that it sought a single goal of perfect enlightenment. While the searches were unfruitful, the beautiful religious, metaphysical experience of the philosopher’s stone might be seen as the object of a scientist’s affection. Perhaps we should embrace efforts to find wonder in science through elegance are best used for the betterment of science, but we should keep in mind the beautiful, artistic value that makes us human. Whether or not we champion nature or the dazzle of science overrules ourselves is important to the way we approach philosophical, legal, and ethical issues in science, medicine, and other fields of amazing work. It’s best for us to see science as, not just a way of obtaining information about the world, but also an art, a philosophy, and a beautiful journey into the unknown. Next Post Are You a Bromide? Find out with These Three Easy Questions!